S7 Technics, Russia’s largest independent aircraft maintenance, repair and overhaul (MRO) provider, completed another re-delivery check on an Airbus A320 at its Mineralnye Vody base in October. The aircraft, previously operated by Aeroflot, is now ready to continue operations in the fleet of Aeroflot subsidiary Rossiya Airlines. The project involved 1С+4С+6Y+12Y heavy сhecks, after which S7 Technics’ paint shop gave the aircraft its new livery using the advanced base coat/clear coat painting system developed by Dutch specialist Akzo Nobel. 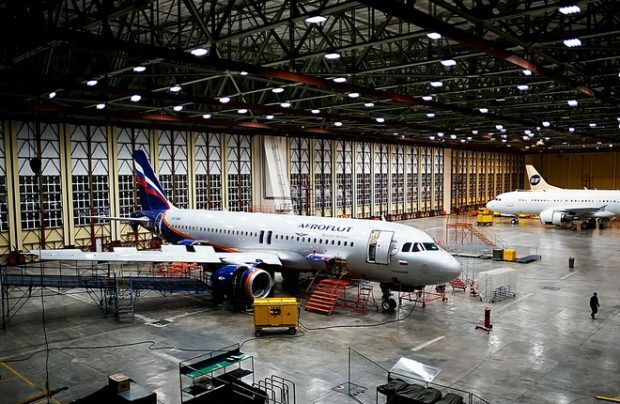 Under a long-term general contract, Aeroflot has now been working in close cooperation with S7 Technics for more than three years, in an agreement that covers a spectrum of periodic maintenance checks on western-built narrow-body aircraft. The first check on the Russian flagship carrier’s aircraft under this agreement was completed in February 2015 at S7 Technics’ Siberian site in Novosibirsk. Since then, apart from numerous shop visits to all of S7 Technics’ sites, 11 re-delivery checks have been done at the Mineralnye Vody facility in southern Russia, which now specializes in completing its contracts for those re-delivery checks required when an aircraft changes operators. S7 Technics performed its first ever re-delivery check five years ago on an aircraft operated by S7 Airlines, also part of the S7 Group. Responding to the needs of its partners, the maintenance provider plans to continue developing its redelivery check capabilities in the interests of both airlines and leasing customers. The S7 Technics’ Mineralnye Vody site has an estimated current production capacity of 305,000 man-hours. At the end of 2017 its load factor reached 75 per cent, having almost doubled in the last five years. The site is less involved in light maintenance activities, such as A-checks, as customers are increasingly reliant on it for more complicated services such as C-, D-, 6YR/12YR and re-delivery checks.